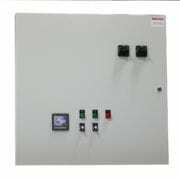 Like many of the electronic controls engineered by ecc-automation, our pump station control panels are designed be utilized universally. 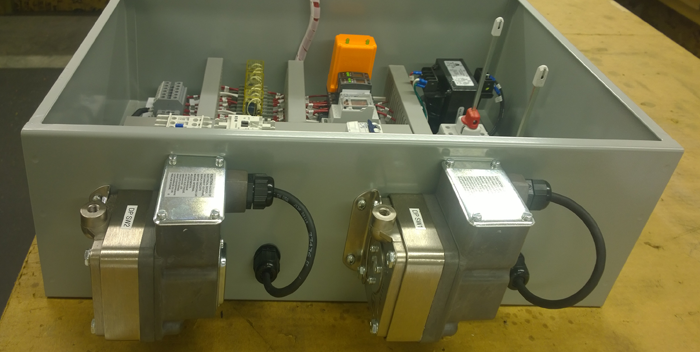 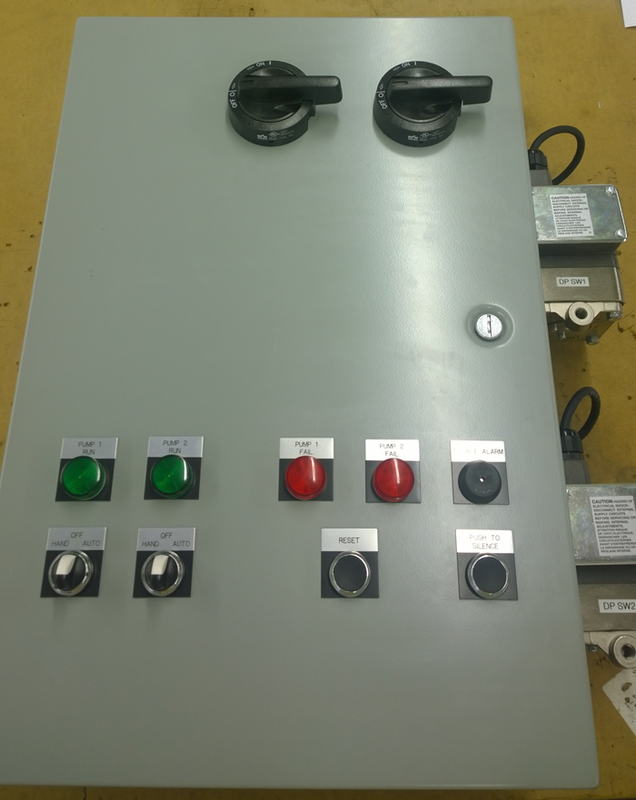 Many options can be added to custom tailor this electronic control station to nearly any application. 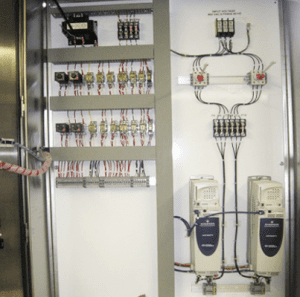 Options in the duplex pump station control panels shown to the right include: dual differential pressure switches, lead / lag pump selection, programmed to alternate on a set time cycle, such as weekly, an audible alarm, and an input to remotely start and stop the duplex pumps. 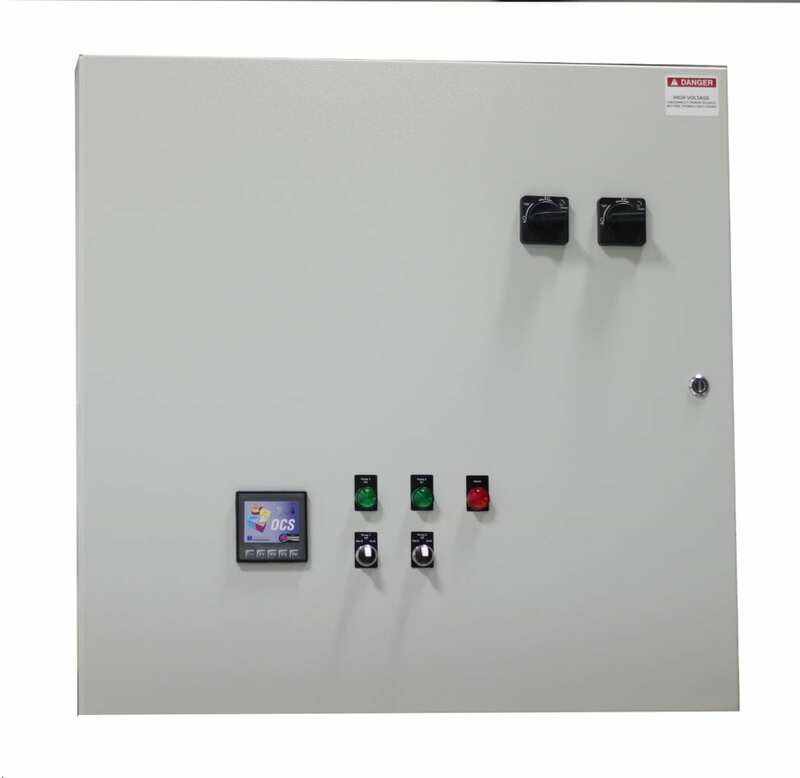 Our pump station control panels are designed to be compact— fitting into areas with limited wall space. 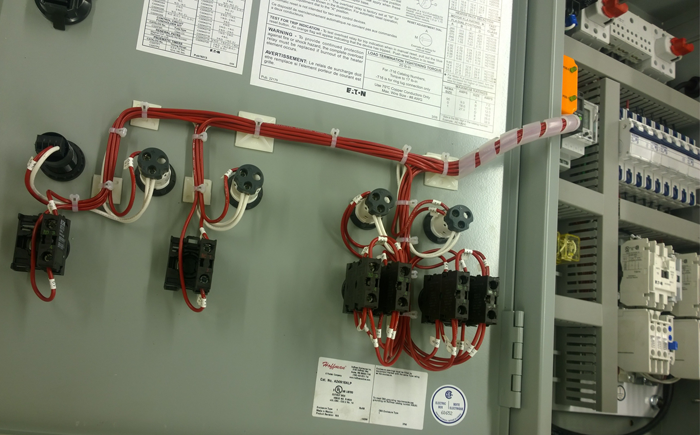 You can install them right on the pump package as well, without taking up too much room. 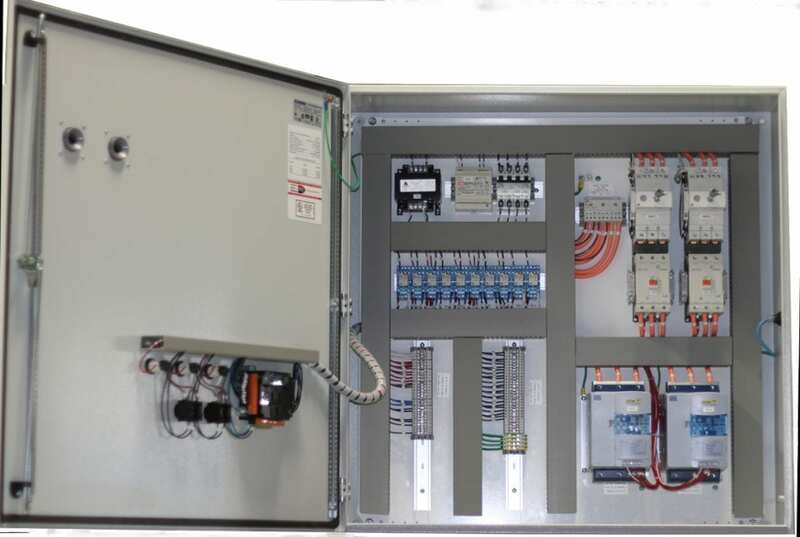 Our superior design ensures that the interiors of our pump station control panel enclosures are uncluttered and well-organized – allowing for fast and easy troubleshooting. 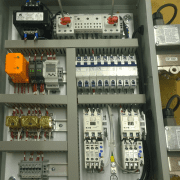 For an In-Depth look at one of our duplex pump station control projects click on the button to the right, underneath the photo gallery. 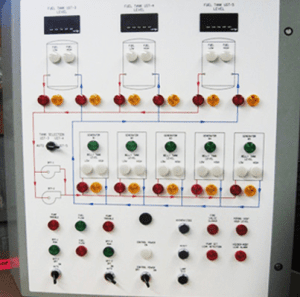 The project involved customizing a duplex pump station control for wastewater management of a multi-building work campus. 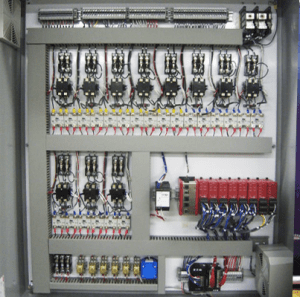 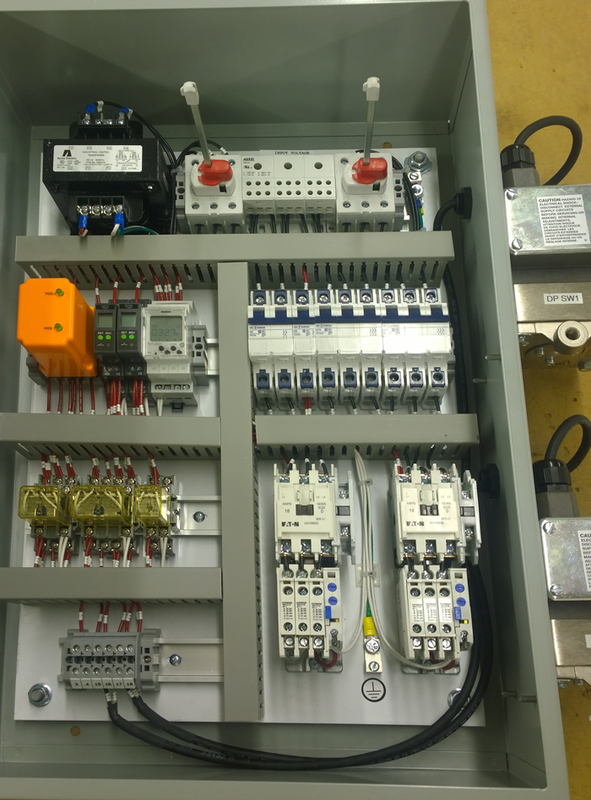 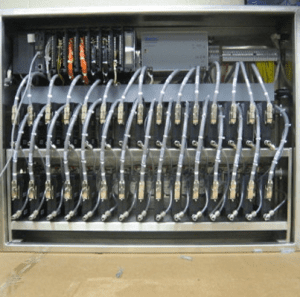 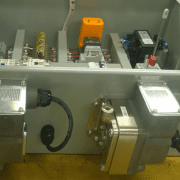 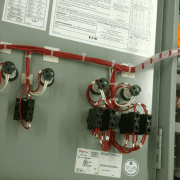 Whether your pump station handles a simplex pump, duplex pump, or more, Electronic Control Corporation can engineer and build an electronic control panel to handle your custom requirements. 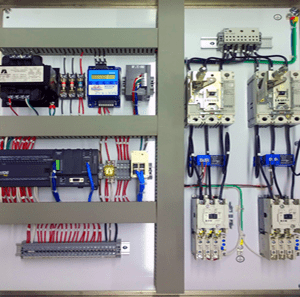 Our in-house communications engineers program the PLCs. 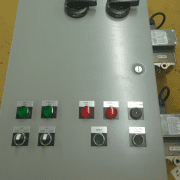 Every panel is quality tested, prior to leaving our manufacturing facility. 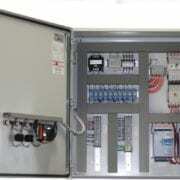 This ensures the pump station control operates at optimal performance levels at start-of-service.